"Really lovely place to stay ." Have a question for Jaiwana Haveli? "This is an excellent facility and location." Built in 1995, Jaiwana Haveli is a distinct addition to Udaipur and a smart choice for travelers. The hotel is not too far from the city center: just 0.5 km away, and it normally takes about 45 minutes to reach the airport. For those of you who want to venture out, Gem Handicrafts, Handicrafts Emporium, Spice Box are just some of the attractions available to visitors. 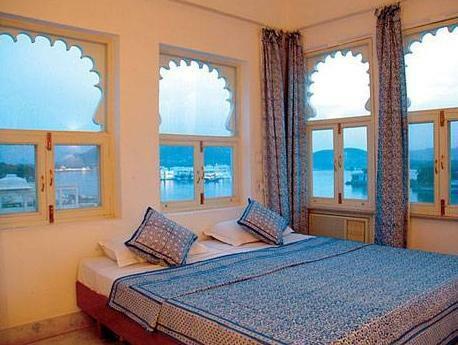 Take advantage of a wealth of unrivaled services and amenities at this Udaipur hotel. To name a few of the hotel's facilities, there are free Wi-Fi in all rooms, 24-hour front desk, luggage storage, Wi-Fi in public areas, airport transfer. All guest accommodations feature thoughtful amenities to ensure an unparalleled sense of comfort. The hotel offers wonderful recreational facilities such as massage to make your stay truly unforgettable. Enjoy unparalleled services and a truly prestigious address at the Jaiwana Haveli. "It was great experience staying at Jaiwana Haveli, food was..."
We stayed in room 63, which is an adventure to get to with many stairs, but worth it! The room was big and bright. Everything was sparkling clean and we had a lovely view of the lake. The restaurant has a lovely sunset view, best enjoyed with a Kingfisher beer. The staff was friendly and provided the most information we have received from any hotel in India. Didn’t want to leave! The location near Lal Ghat is very convenient to major sites, but it is remarkably quiet. We had a newly refurbished lake-facing room (51) which was spacious, clean and comfortable - we had paid for an upgrade which was worth it. Be sure to book early and ask, as not all rooms have lake views. The rooftop restaurant has wonderful views and is excellent, limited menu but everything we had was really delicious, including the substantial breakfast. While it was a little expensive, the service is good with the staff eager to assist in all matters. Dear Belinda, Thanks for staying with us and writing a great review. We are glad you loved your stay and found the accommodation, food and service excellent. Its been a pleasure serving you. We look forward to welcoming you again. Best wishes from all of us at Jaiwana haveli, Udaipur. Pros: A great location, food was excellent in the roof top restaurant. While having breakfast or dinner, you will enjoy watching the lake. Pichola lake boat ride was in the corner. Cons: Was very noisy at Saturday night as seemed to have a night party outside across the street. Although I got a corner room with a lake view, but it was on the first floor and not much to see from the room. Needs some upgrade with the windows. While getting the extra bed for the third person, they provided a simple single mattress with some sheets, a pillow and a blanket. As it was a reasonable priced hotel at Udaipur, I personally recommend this property. Had a super stay at Jaiwana Haveli. Great location, clean rooms, great view from the rooms. Special mention for the staff- they were super helpful and friendly. Would recommend the cycle tour they have- a great way to see Udaipur. Liked the balcony view during breakfast. However, this was the only good thing about the hotel. Rooms are small and dingy. Staff courteousness could have been better. At some stage, it looked like the hotel did a favour by allowing me in 😊 Wouldnt recommend for folks looking for a hotel experience. More like a hostel experience from the ambience. Dear Maureen, Thanks for a wonderful review following your recent stay with us. We enjoyed serving you and are glad you loved it here. We would happily welcome you back : ). Wish you happy times ahead! Warm Regards from all of us at Jaiwana haveli, Udaipur. Rooftop terrace was fantastic. Delicious food. Shame we couldn’t sit on roof terrace for breakfast. 4 flights to roof terrace and then there were no toilets there. Very helpful reception staff. It was great experience staying at Jaiwana Haveli, food was pretty good. Guy at the reception was very helpful he explained all the tourist points nearby. Rooftop cafe has a very nice lake view. Rooms and bedsize is small. It becomes a little difficult if you are with 2-3 year old child. Dear Gaurav ji, Thanks for a great review. We are glad you enjoyed your stay with us. Its been a pleasure serving you. We have taken a note of your suggestion. We look forward to welcoming you again. Warm Regards from all of us at Jaiwana Haveli, Udaipur. We had a fantastic stay at Jaiwana Haveli. We were upgraded to a room which had a beautiful view of the lake. The room was cleaned daily with fresh towels. Breakfast was included in the booking and delicious. The location is perfect, in a great spot that is walking distance to all of the sites, but is also quiet and away from the busy main streets. Wifi wasn’t working but the hotel kindly gave us a portable wifi device that we were able to use during our stay. Would definitely recommend staying here. Dear Guests, Thanks for a lovely review. We are glad you loved your overall stay with us and found us worth your high recommendation. Your remarks about our accommodation, food, service and location are highly encouraging and inspiring. We look forward to welcoming you again. Best wishes from all of us at Jaiwana haveli, Udaipur. Dear Kamayani ji, Thanks for a great review and rating. We are delighted to receive your generous feedback. We are happy to hear of your enjoyable overall stay. We look forward to serving you again in future. Best wishes from all of us at Jaiwana haveli, Udaipur. It was a comfortable stay, bathroom was clean and small but everything worked. During a heavy downpour the windows leaked and staff were very prompt in cleaning up and providing extra towels. Both our rooms had lake views, and the view from the roof top was great. We were often cold though as the roof top restaurant is open. Would stay here again, also position is very close to the palace and water front. The owners were very accommodating, the staff very efficient. I was impressed with the cleanliness, and was fortunate enough to score a room with a view. The bedrooms are very simply appointed, and the bathrooms small, but this is reflected in the price of this lovely little Haveli. The location was fabulous, with everything being within walking distance. We have nothing but good things to stay about the hotel. We arrived way to early than the check in time but the hotel allow us to stay at the tv room which is a very cool hangout place. After a long tiring 12 hours train ride, the place give you true comfort. The people is definitely the heart of this hotel. Yash, Hash and Pradeep are amazing to be around with as a quick chat with them will bring you laughter and put smile to your face. The breakfast is good but not as superb as other places we visited during our trip. Experiencing the view of the lake from our room is memorable. The hotel and it's people definitely complete our unforgettable journey to Udaipur. 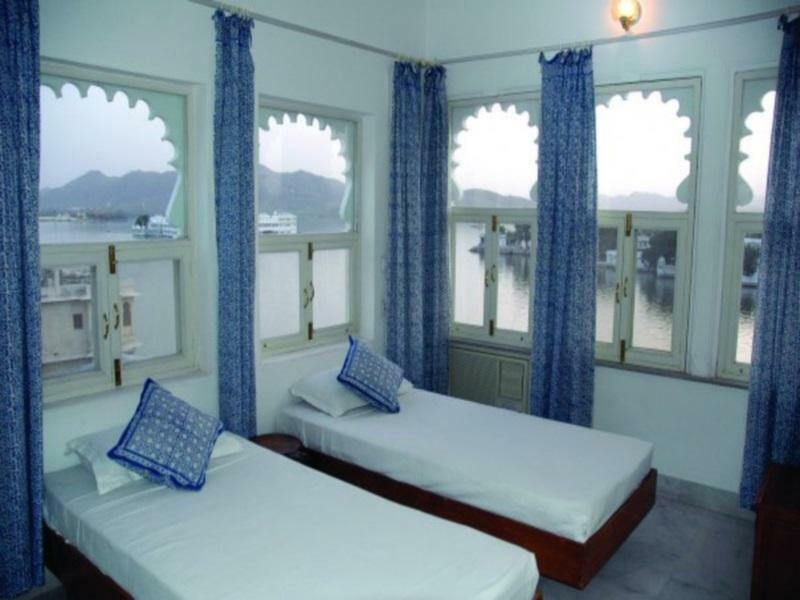 The Jaiwana Haveli is a most comfortable and friendly hotel located very close to Lake Pichola. The staff was very friendly and helpful. The location on Lal Ghat seems almost private but is within walking distance of many attractions and conveniences such as shops, restaurants, and travel arrangements. I felt that there was good value for cost and would definitely stay there on a return visit. The hotel is run by two brothers who provide excellent service. I just loved this hotel. They were always helpful and can solve any problem in the city for you. We had some issue with our own hired car and they promptly arranged another car in very good condition. I just loved this hotel and its views for the breakfast. Chottu at the breakfast restaurant on top floor provides very good service. The hotel is conveniently located and offers an excellent service. The staff is super friendly. However, the hotel lacks an elevator/lift for people unable to climbe stairs. Ok location but many more are located in the same area. Not value for money as the room condition is disappointing, the window blind is spoiled and cannot be controlled.